Going old school is sometimes the better choice. 2004, the year when the second generation and current Nissan Frontier pickup truck came to market. That’s an eternity in the automotive industry, and yet the Frontier continues to do good business for the automaker. What’s its secret sauce? 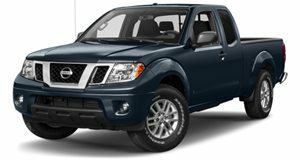 That’s what we wanted to find out, so we managed to get a 2017 Nissan Frontier PRO-4X Crew Cab for some one-on-one time. This particular Frontier is towards the higher end of the trim spectrum, with a total price tag of $36,525. What does that get you? For starters, the optional 4.0-liter V6 with 261 hp and 281 lb-ft of torque instead of the base inline-four with 152 hp and 171 lb-ft. Power goes to all four wheels (4WD is optional) through a five-speed automatic. That’s not a typo. A five-speed slushbox is a $1,050 option. Our advice: stick with standard six-speed manual. Unlike the new Nissan Titan and its main rivals, such as the Ford F-150, the Frontier is classified as a mid-size pickup, therefore its rivals are the (much newer) Chevrolet Colorado/GMC Canyon corporate cousins, as well as the Toyota Tacoma. But those trucks, big or small, aren’t for everyone. What the Frontier offers is sort of an old school truck experience that current and former Ford Ranger owners will appreciate. The Nissan Frontier may not be the fanciest or most modern truck on the market, but it does everything it’s supposed to do and more for many owners.